These towels may be small, but they get everyday jobs done quickly and efficiently. 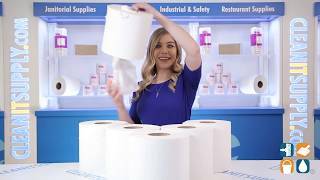 Cascades Pro Select Center-Pull Roll Paper Towels deliver quality, economical absorbency from small facility and production floor to high traffic public venues. The center-pull design means the user only touches the towel they are taking, helping to reduce cross contamination and eliminate waste. 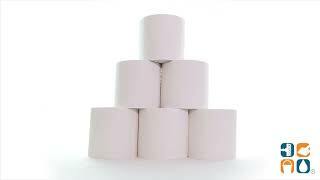 Each carton includes 6 rolls so you will always have refills on hand. Order today and save! I like the quality of the products and would recommend them to anyone. Good price & does the job. We use these towels in our plant. We'll probably order a larger size next time as these particular towels are pretty small, but good quality.